Loving care for your Furbaby. Call today. Call to Find Out How Our Fear-Free Approach Makes all the Difference. New Client Special: FREE rabies vaccination with annual wellness visit! Sign-up using the form or call us at (918) 451-1440 to take advantage of this exclusive offer. Now available: Online Booking and Saturday appointments! Pet Emergency? Call us right away at (918) 451-1440! Serving Broken Arrow and the surrounding area since 1999. 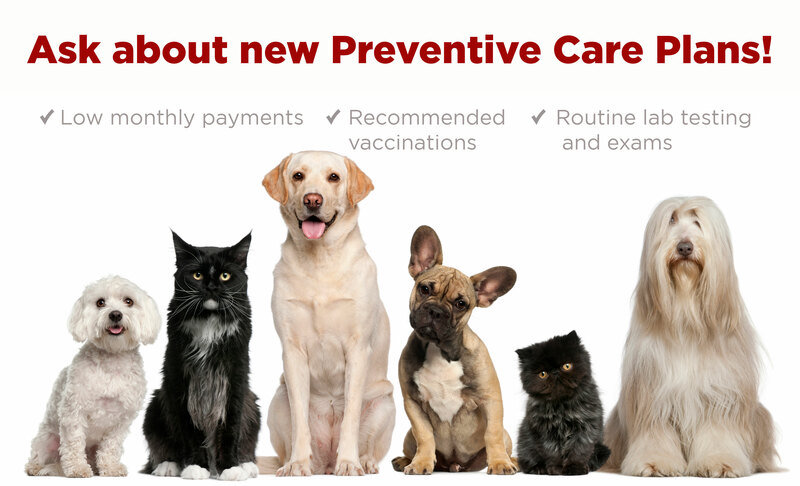 Need a trusted veterinarian to care for your pets? Dr. Ginger LaNye, Dr. Stephanie Broadbooks, and Dr. Lisette Wigton are licensed OK veterinarians in our AAHA Accredited veterinary hospital, which means we adhere to over 900 standards for excellence and rank in the TOP 12% of veterinary hospitals in North America for quality. Southpark Veterinary Hospital is a full service animal hospital providing emergency and routine medical, surgical, and dental care. Dr. Ginger LaNye, Dr. Stephanie Broadbooks, and Dr. Lisette Wigton treat patients one at a time in our comfortable, kid-friendly, calm atmosphere. We make your pet's visit as relaxed and stress-free as possible at our Broken Arrow veterinary hospital. We believe the best veterinary care is prevention, so we educate clients about how to help their pet live a longer, happier, healthier life. If you have any questions, call (918) 451-1440 or email us and we'll promptly get back to you. Our Broken Arrow veterinary office is near the Warren Theater. Exit the Creek Turnpike at Elm Place and go south. We are across from Wal Mart. For directions see our Contact Us page! We also invite you to subscribe to our newsletter, which is created especially for Broken Arrow pet owners. At Southpark Veterinary Hospital, we believe pets are four-legged family members! Southpark Veterinary Hospital offers our patient form(s) online so they can be completed in the convenience of your own home or office. Linzi Has worked in the veterinary field since 2002. She has been with SouthPark since April 2013. Linzi is currently attending a Veterinary Technician program and will take her boards to become a Registered Veterinary Technician in the State of Oklahoma. Dr. Broadbooks graduated Oklahoma State University College Of Veterinary Medicine in 1998, and has worked in Tulsa for twenty years. Ginger LaNye graduated from Oklahoma State University in 2002. She graduated from Broken Arrow High school where she was a member of the softball, basketball and track and field teams. Dr. Wigton is a 1996 graduate of Oklahoma State University. Her special interests include tackling tough internal medicine and skin cases, and she has a special place in her heart for exotics and pocket pets. Shannon started working in Veterinary medicine in 1991 as a kennel tech and worked her way up to surgical and dental assisting. She has been part of SouthPark's team since 2008 and took the role of Office Manager in November of 2013. Robin has worked for SouthPark since April 2004 and loves every minute of it. She has a strong bond to animals and has not met one that doesn't absolutely love her. We're fortunate to have Alecia rejoin our team after a brief hiatus. She's a 2012 graduate of the CCC Veterinary Assistant Program where she focused on laboratory work and educating clients about pet health. "I love this staff!! They truly LOVE what they do! They understand and share the "they're not dogs, they're our babies" mentality. They've been so wonderful to us and we appreciate them and their love of animals so much! Great place!" ""Everyone that works here are the most kind, gentle, caring & knowledgeable people. I highly recommend them to everyone I talk to."" "The staff at Southpark is outstanding! They are very attentive and compassionate about helping their clients by providing the best care." ""We absolutely LOVE this office! 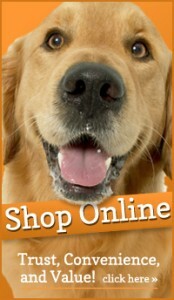 They are so caring and so helpful through all kinds of adventures that you encounter with your pet. They are so knowledgeable and equipped to offer excellent care! We feel at ease and often feel like family. Thank you Southpark for who you are as a staff and all that you do for Abby and Remy!"" ""Fantastic experience with the staff and doctor today. They took great care of our Shih tzu/Yorkie. Thank you!!!!"" ""I absolutely love this place. My poor puppy was recently hit by a car. The care and support they gave to my wife and I while examining our fur baby was amazing. 100% professional office of wonderful animal loving people. Thank you!"" ""I will say this is the most thorough exam I have ever witnessed. Dr. Wigton seemed extremely intelligent, and she was so patient. She took extra time to explain my dog's illness and outline a plan of treatment for her. The staff are very friendly and I felt like they really wanted to get to the bottom of my pet's problem. I think I found my "forever Vet"""